Automobile accidents are unexpected incidents that may occur anytime and anywhere without warning. While being involved in this situation can be confusing for the individual, after experiencing an auto accident, the first and foremost thing one needs to do is consult a doctor. Visiting a healthcare professional is almost mandatory following a car wreck even for the personal injury case. 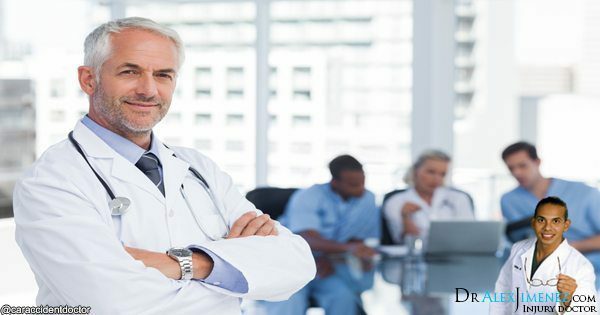 To build a proper personal injury case, seeing a physician is required, simply because without the proper documentation of the accident, many lawyers will refuse to take a case. Finding the proper care, such as chiropractic, will help the individual heal their injuries as well as help file a personal injury case is essential for those who’ve been involved in an automobile accident. According recent studies, numerous car accidents occur on a daily basis in the United States alone. Suffering an auto accident can be quite traumatizing for the victim’s health, both physically and mentally. A wide variety of injuries or conditions may develop as a result of the unexpected forces from a car wreck and a majority of these are classified as soft-tissue injuries, which may not be immediately visible after the collision. As a result, many individuals don’t seek medical attention to properly diagnose any underlying injuries or conditions and doing so can have tremendous risks for the victim’s overall health. Thus, one needs to be conscious about these complications and see a healthcare professional immediately after an automobile accident to receive the necessary diagnosis and follow up with the appropriate treatment. If there are financial concerns for visiting a doctor after being involved in an auto accident, there’s no need to worry. Some states offer PIP, or personal injury protection as part of their insurance plan. PIP was designed to pay for the necessary medical care considered reasonable and essential by the insurance company. Under PIP, insurance companies can additionally pay for lost wages after the individual’s missed work days due to the injuries from an auto accident. Make sure to speak to your healthcare provider or insurance company to know whether or not PIP can help you in your case. In the case personal injury protection, or PIP, does not cover the individual, there are other options to help pay for medical bills following a car wreck. MED pay may be available for individual who don’t have the option to pay for their medical bills using PIP. The availability of MED pay is generally stated under the individual’s insurance policy and it can be used after the individual has been injured in a car accident to pay their medical fees. MED pay can be used when the driver or any passengers in the vehicle were injured during the time of the car wreck. Regardless of whether the incident was your fault or not, MED pay will pay for your personal injuries after being involved in an automobile accident. It is a preliminary duty to consult a doctor immediately after suffering an auto accident. A car wreck can greatly affect an individual’s overall health if any injury or condition is left untreated. Regardless of how minor a car wreck may appear, the force from an impact can cause huge amounts of strain on the neck and shoulders, including the back. After an automobile accident, symptoms of pain and discomfort may not manifest right away, which is why consulting a doctor following the incident must be the individuals first step to take. Seeing a healthcare professional promptly to diagnose the presence of any complication is crucial to follow the best treatments and restore the individual’s original health. Since most injuries or conditions resulting from a car wreck are not visible at first glance, many people believe they didn’t suffer any harm after the incident and delaying treatment can lead to further complications in the future. Furthermore, while many doctors focus on treating a variety of injuries or conditions, only a select few healthcare professionals specialize in auto injuries. Chiropractic care is a popular form of alternative treatment used to treat a wide variety of soft-tissue injuries. Chiropractors specialize on musculoskeletal injuries and conditions including complications to the nervous system, many which are common during automobile accidents. Being involved in a car accident can be a terrifying experience. From minor to severe collisions, there can be a lot of internal physical damages. If these internal injuries remain untreated, the individual may develop chronic symptoms which can greatly challenge their everyday lives. Chiropractors are some of the most frequently sought out healthcare professionals after an auto accident, specializing in whiplash-associated injuries and treating neck and back pain along with other symptoms. Through chiropractic care, the victim’s strength, mobility and flexibility can be restored, eliminating any symptoms and improving overall function and health. Injuries from a car wreck can occur internally and externally, causing pain and many other symptoms. If you are facing any of the below symptoms, then you must consult your chiropractor or other healthcare professional of your choice immediately. Symptoms can include: neck pain, shoulder and arm pain, back pain, headaches, stiffness, numbness and tingling sensations, blurred vision, dizziness and anxiety or depression. A chiropractor can evaluate these health problems effectively and determine the presence of an injury or underlying condition which could be causing the symptoms. During a car accident, the body is placed under a sudden, extreme force which can cause its structures to stretch beyond their normal limit. Because of this, many tissues within the body can become over-stretched or torn. The neck and head are especially more exposed to these types of injuries during car accidents, such as in the case of whiplash. Finding early care can do a lot to help you, carefully eliminating the pain and symptoms as well as gradually restoring the normal function of your body. Once a chiropractor has provided the individual with the necessary evaluation procedures to determine the source of their symptoms, an appropriate follow up treatment will be recommended to begin improving the individual’s symptoms. Chiropractic treatment primarily consists of spinal adjustments and manual manipulations to slowly re-align the spine after a car wreck, helping to reduce the irritation and swelling around the tissues of the affected area. 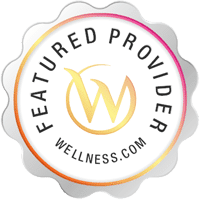 Chiropractic care may also include massage, foam roller techniques, even a recommended set of stretches and exercises that will provide relief from the pain and symptoms as well as speed up the rehabilitation process. In order to make sure that the body performs seamlessly, you have to make sure the spine is in correct alignment. Chiropractors are specialized in rehabilitating muscles, bones, nerves and other connective tissues. Whenever the body undergoes a car accident, the spine and spinal cord receives a majority of the impact and trauma. Whiplash is a common issue resulting in any kind of car accident. 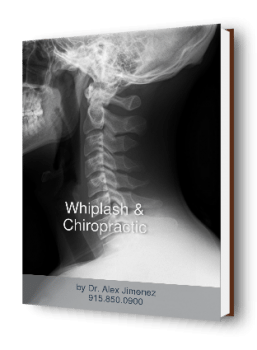 When the neck is abruptly forced back and forth from the force of an impact, whiplash is most likely to occur. There may not be any pain or symptoms immediately but these can generally appear after 24 hours from the original incident. The adrenaline rush which occurs during the accident postpones pain, headaches and other symptoms. Eventually, these can begin to manifest and when it does, the neck pain, back pain, stiffness, and other symptoms may be unbearable. Whiplash is a type of injury that can quickly turn into a health hazard if left untreated. Chiropractors may utilize chiropractic adjustments to treat whiplash and its symptoms. The cervical spine may have suffered a misalignment as a result of the car accident, therefore, careful adjustments over a period of time can help slowly restore the original structure of the neck. Moreover, through the proper re-alignment, the pressure against the surrounding tissues will be relieved, decreasing and eliminating irritation, inflammation and swelling on the surrounding region. Chiropractic care may also include a therapy known as cranial sacral therapy to treat the patients who have suffered whiplash. This treatment is continued for few days or weeks based on the severity of the injury. Cranial sacral therapy is a non-invasive bodywork that focuses on releasing the compression along the head and spine to alleviate pain and stress. Once the individual’s symptoms begin to improve, chiropractors may also recommend the use of heat or cold therapy to temporarily relieve the individual’s symptoms while they are at home, to provide a more successful care relief. Soft-tissue injuries as well as other types of injuries or conditions resulting from an auto accident can be traumatizing and painful, often requiring effective care to heal and strengthen the body back to health. Time and patience is often the key towards achieving the proper rehabilitation from your automobile accident injuries. Furthermore, an individual’s daily tasks and work can come to a standstill after suffering injuries from a car wreck. Many are unable to function properly as they are not able to sit or stand properly without experiencing any symptoms prior to receiving treatment. With the help of chiropractic care, aside from a variety of treatments and symptom relief techniques, the individual may follow a pain management treatment to continue feeling relief from their injuries throughout the rehabilitation process. With the first adjustments done by a chiropractor, pain management procedures start off. As soon as the accident occurs, its best to receive a proper evaluation. From the above points it’s been emphasized that delaying treatment can and often will worsen the symptoms. Whether you or a person you know experienced the accident, visit a chiropractor for a thorough medical care. 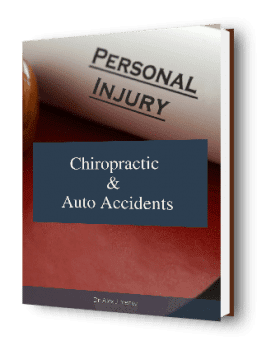 The chiropractors of El Paso, Texas are here to serve the people with the best possible treatments they deserve for their automobile accident injuries. Our chiropractic doctors are well trained and highly experienced, offering special treatments and care for the victims of a car wreck. Many chiropractors are here to assist you with your different types of injuries and health problems through proper diagnosis using the necessary tests and evaluation methods. After a car accident there can be many small and minor injuries that can occur internally. Without proper experience and knowledge, these injuries can be misdiagnosed, leading to other complications. During a car wreck, a majority of people suffer from whiplash. Chiropractors don’t just focus on the single injury itself, they provide care to the body as a whole, making sure the individual has healed completely and their original, healthy function has been restored. It’s understood that accidents can happen anytime and medical care may be needed as well. Chiropractic treatments will help you to enhance your functions, reduce pain and swelling, improve postures and offer many other benefits. If you or any of your close loved ones have been involved in an auto accident, make sure to contact a chiropractor immediately to receive the proper care you need and deserve to ultimately achieve overall health, both physically and mentally.